"legroom in this aircraft is a disgrace"
The legroom in this aircraft is a disgrace considering Etihad advertise comfort and show aircraft leg room in economy as roomy. 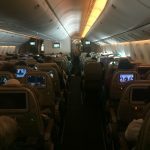 This is not the case - I am not a tall person and found it to be extremely uncomfortable especially on a near 14 hour flight from Sydney to Abu Dhabi. When the person in front puts their seat back there is not enough space to see tv screen or have tray out for drinks or food and in my case when seat in front was put back with such force my drink tipped over. 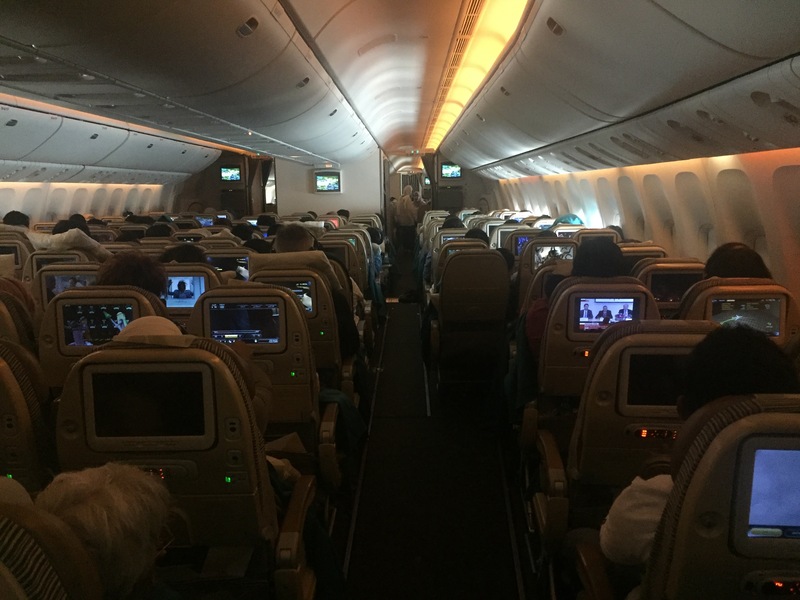 The Boeing 777 seats from Kathmandu to Abu Dhabi are so cramped. When the lady in front put her seat back I had to ask for her to kindly put it back up as I was so squashed. Etihad have obviously cut back on seat space as well as no drinks service. An awful uncomfortable flight with crew who do not care. "had to sit on two cushions"
I was sat in the rear half of Economy in an exit seat which had extra legroom. Seat was comfy but the bottom was hard and had to sit on two cushions. These seats are thinner than normal seats. Good recline and good adjusting headrest. Middle 4 seats don't all have movable armrests the middle one stays put so you can't lay down. "has the worst seating available"
Chicago to Abu Dhabi and then Abu Dhabi to Kathmandu. I have flown Qatar and Gulf Air many times but this Etihad Airlines has the worst seating available. I am petite and even for me it was very uncomfortable for the whole flight. Even though the airfare is cheap you will really suffer. While the upholstery in economy and beige colors are new the seat pitch was terrible and way below expectations. 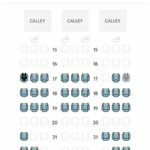 The only saving grace was that the rest of the seats in my middle section (I moved to from a left side aisle seat with someone next to me) were empty. If I was not able to move it would have been miserable. "get ready for pain and suffering"
The 3x4x3 lay out is just so bad it's untrue. If you have a full flight like I did on my AUH-BKK-AUH legs then get ready for pain and suffering!! The seats have so little width that you end up hanging out into the aisle with your back twisted. It also makes you fair game to me smashed into again and again with drinks/food carts. 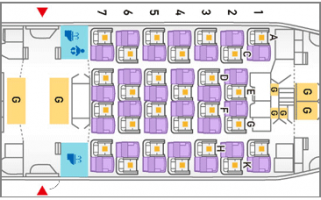 Avoid Etihad and any other airline using this B777 layout (that includes Emirates!). Seat pitch was disappointing after all the boasting on the airline website - little or no better than European short haul carriers even with all the mags removed to try and maximise legroom. Agree that the footrest is always in the way up or down. "feels more like a budget carrier"
Seat pitch feels more like a budget carrier e.g. Easy Jet with 29" pitch. My wife is vegetarian and booked the special meal on booking the tickets but never received a special meal on the outbound flight. We even confirmed before we flew but the cabin staff had no record. The flight from Bangkok to Abu was freezing! I don't normally complain but my wife suffers from the cold. I had 3 Italian guys sat opposite me wearing fleeces and woolly hats! Nothing was ever done by the cabin staff even after asking 3 times. Book with another airline and save yourself the hassle! "should do away with footrests"
Have flown Etihad many times and consider seats adequate or better. They should do away with footrests as they take up room for long legged passengers like myself even when not in use.